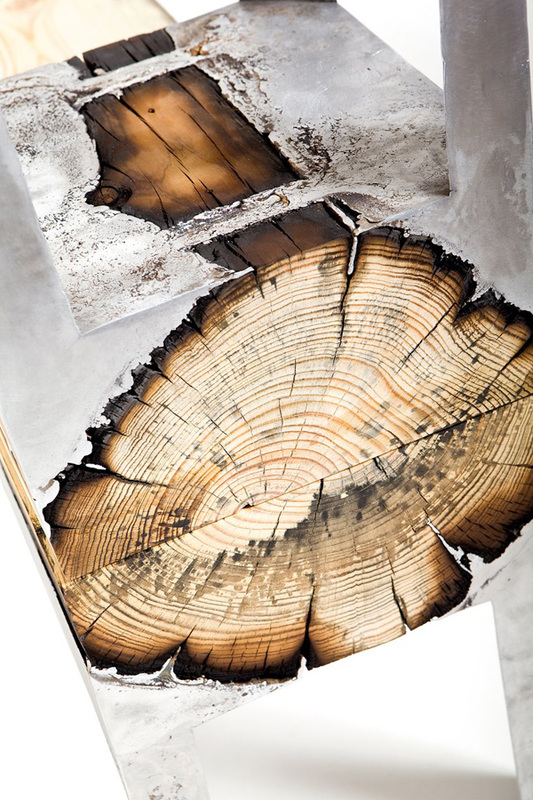 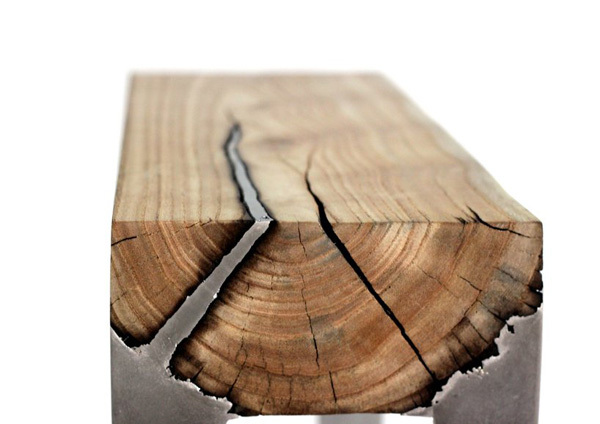 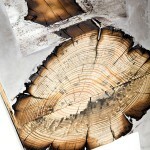 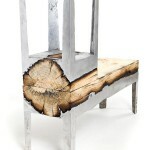 Wood Casting is an amazing furniture line created by Hilla Shamia out of burned wood and aluminum. 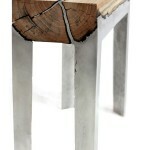 The tree logs and cast aluminum come in several different furniture pieces. 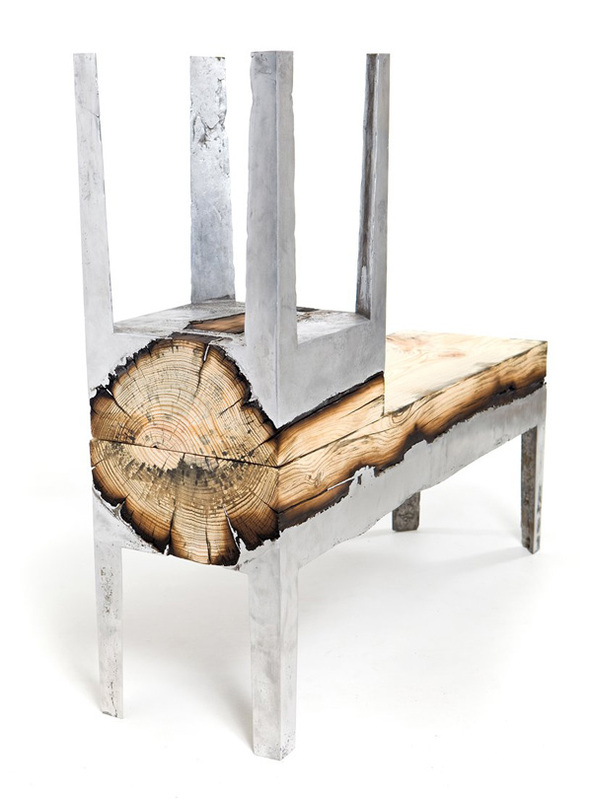 The combination of wood and metal makes for a unique design and look. 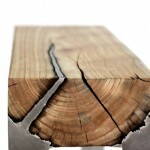 The traces of liquid metal is visible in the wood cracks while the metal and wood surfaces come in uneven patterns. 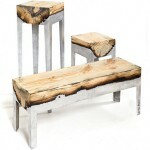 The Wood Casting definitely catches the eye with its warm-cold texture. 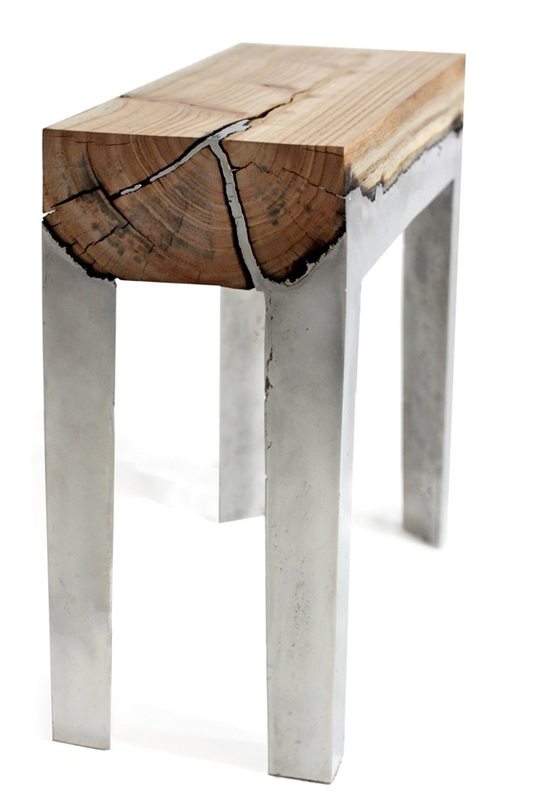 It would definitely fit the industrial or modern decor. 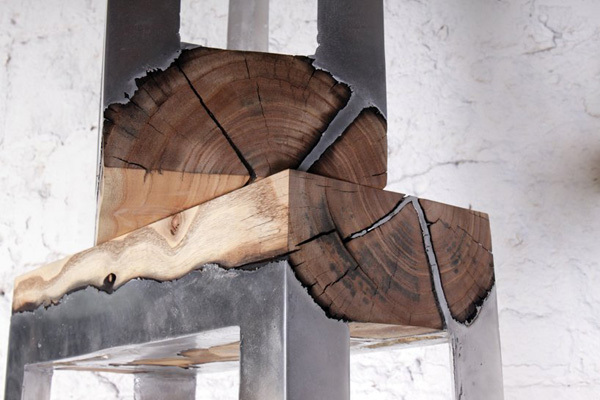 The contrasting textures and materials create a certain dynamic in the decor. 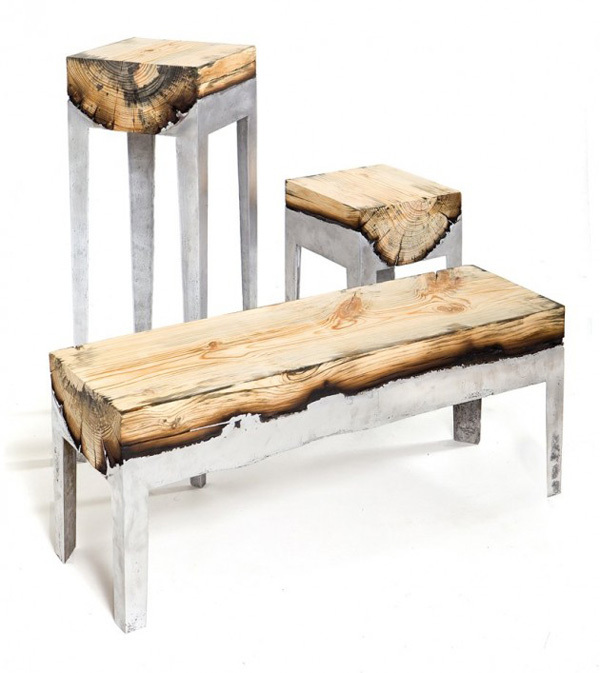 What do you think about Wood Casting furniture?